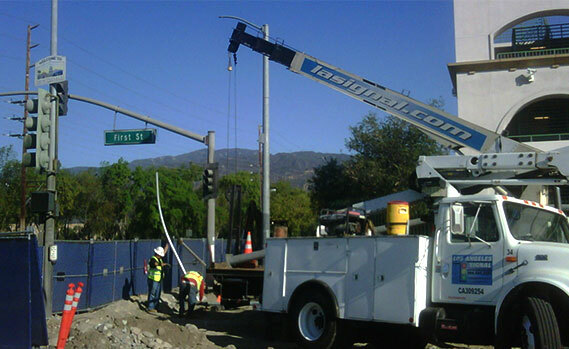 Los Angeles Signal Construction, Inc provides quality traffic signals throughout Southern California. 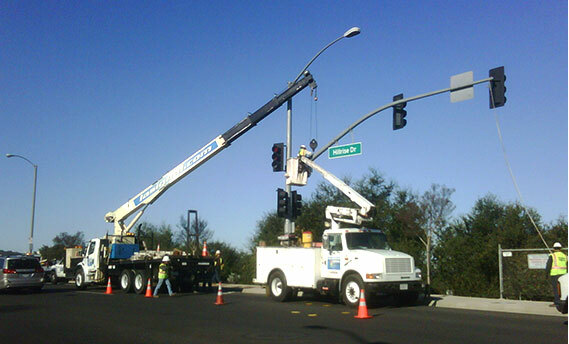 Our experience includes installing thousands of traffic signals and in-road crosswalk systems. Traffic Signal construction consists of furnishing materials and erecting a traffic signal installation including all traffic signal equipment, poles, bases, wires and miscellaneous materials required for completion of the installation. Our work includes warranties and guarantees as designated in a projects specifications, and response to maintenance and operational issues.